Before a World Cup, there has to be a World Cup draw. Yes, after roughly three years of qualifying, involving 871 games around the globe, the likes of Lionel Messi, Cristiano Ronaldo and Neymar -- not to mention millions of football fans around the world -- will be holding their breath on Friday. Who could play whom? Will there be a much-dreaded "Group of Death?" Who are the favorites? Here's the lowdown on Friday's extravaganza at Moscow's State Kremlin Palace. 1. It will be conducted in the State Kremlin Palace in Moscow, Russia from 4pm. 2. The draw will be broadcast live on Fox Sports 1 and Telemundo in the US and on TSN in Canada. 3. It will be co-hosted by former Barcelona and Spurs striker and now TV sports personality Gary Lineker along with Russian sports journalist Maria Komandnaya. 4. 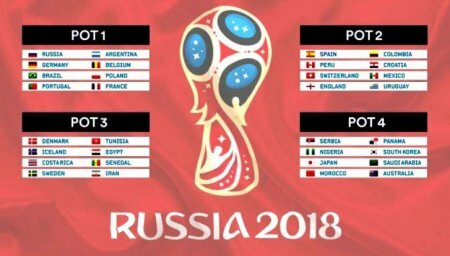 The 31 qualified teams that qualified along with host nation Russia have been split into four (4) pots, based on the FIFA world rankings as of October 2017 edition of the FIFA/Coca-Cola World Rankings. 5. No more than two UEFA countries are allowed in a group. 6. The opening game is on June 14, 2018. Hosts Russia will play the country drawn into position A2. 7. A "Group of Death?" Every major football draw seems to produce a so-called "Group of Death." The term was reportedly first coined in reference to Group 3 of the 1970 World Cup, featuring reigning champions England, favorites Brazil, 1962 runners-up Czechoslovakia and Romania. Friday's draw could potentially pit Brazil, former champions Spain, seven-time Africa Cup of Nations champions Egypt and Serbia against each other. With Spain and England among the second batch of teams, there are a number of mouthwatering scenarios to speculate over before the draw. Who could not get excited about the prospect of Germany, England, Egypt -- returning to the World Cup for the first time since 1990 -- and Nigeria forming one group?.